A repetitive strain injury (RSI) is a common complaint suffered by workers from all industries throughout the UK. It can affect anybody that carries out repetitive tasks and can cause significant pain, numbness and cramping in the affected area of the body. The wrists, hands, fingers, shoulders and elbows are the areas most commonly affected by RSI. If you have suffered from any form of RSI, irrespective of the industry that you work in, and you believe that your employer was at fault, you may be eligible to make a claim for compensation. Our solicitors would be pleased to discuss the strength of your claim during a free consultation. As well as confirming if you have a valid Repetitive Strain Injury claim, our solicitors will also be able to answer any questions you may have and explain the claims process. We will also do our best to provide an estimate of how much compensation your RSI claim could be worth. If we can help, our injury lawyers will be happy to offer you a 100% no win no fee service. This ensures there are no upfront costs to start your claim, and if we cannot win your case, you won’t pay us a penny. To find out more, contact us today to arrange your free case assessment. Alternatively, continue reading below for our guide to making a repetitive strain injury compensation claim. 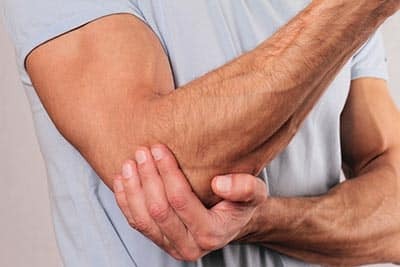 Repetitive Strain Injury (RSI) is an encompassing term that refers to the pain suffered in muscles, tendons and nerves which is caused by either repetitive movements over long periods of time or general overuse of the affected area. RSI is also known as work-related upper limb disorder or non-specific upper limb pain. When work is repetitive such as typing for long hours, the same group of muscles are continuously used during the day. Prolonged repetition without taking adequate breaks result in energy depletion and the buildup of metabolic wastes. This, in turn, causes muscle fatigue and over a period of time can result in repetitive strain injuries. There are two different class of repetitive strain injury, which are Type 1 and Type 2. Type 1 RSI is when there is a clear diagnosis of a particular repetitive injury. The most common types of Type 1 RSI include Vibration White Finger, Carpal Tunnel Syndrome and tendonitis. When a patient’s symptoms do not fit into a specific or definable condition, the RSI is referred to as Type 2. In effect, this is a catch-all that will cover all over types of repetitive strain injuries. Some people suffer from RSI because of cold temperatures or through the use of vibrating equipment and machinery. Stress is also recognised as a contributing factor to the condition. People who work in certain jobs are more at risk of suffering from RSI, including factory workers, assembly line staff, checkout workers and those who type or work at a computer for long periods of time. These are predominantly job roles which involve task repetition. If you suffer from any of the above symptoms, it is important to get checked out by a doctor as soon as possible. Having the condition diagnosed early will help to ensure you receive the correct advice and any treatment to help relieve your symptoms. If suitable treatment is not received for RSI, the symptoms may become worse, and in severe cases, the symptoms may eventually become permanent. The initial step in the treatment of RSI is to ascertain which activity or task is causing the symptoms and to ideally stop or amend the way that these tasks or actions are performed. If it is work related, you should discuss the situation and the pain it is causing with your boss or supervisor. Your boss may be willing to offer help such as alternating tasks with a colleague, providing longer rest breaks or supplying personal protective equipment (PPE) that may help to alleviate the issues. To relieve the symptoms of RSI, a doctor may suggest that you take a course of anti-inflammatory painkillers. You may also be advised to apply heat or cold packs to ease the pain and use supports or splints to protect the affected area. This will help to reduce further aggravation and minimise the pain and discomfort caused. If your RSI is particularly bad, you may also be referred to a physiotherapist who will offer advice on how the affected muscles can be strengthened and relaxed. Rehabilitating exercises may be suggested to help the injured area recover and prevent further damage. Alternatively, some patients find that they are given advice on posture and how to strengthen or relax your muscles. Some people find that other types of therapy such as yoga, massages and osteopathy can also help to relieve their RSI symptoms. Am I eligible to make an RSI claim? RSI resulting from the use of a poor ergonomically planned workstations such as a chair that is not positioned correctly or is not designed for the purpose of the job. Repetitive actions that are continually adopted by workers for extended periods of time, such as office workers who use a computer keyboard for several hours a day or gardeners who repeat a duty for excessive periods of time. Working for extended time periods without taking a break. You must be able to prove that the cause of the condition was related to work and that your employer did not meet their duty of care that was owed to you as an employee. In most cases, the symptoms of the RSI that is suffered will affect the claimant’s ability to carry out normal daily activities. Employers have a legal obligation to ensure that their staff are not subjected to unnecessary risks or hazards in the workplace and that safety measures are employed to prevent injuries. The legal duty of employers includes the need to frequently assess the risks in the workplace, maintain all equipment to safety regulations, ensuring that workers utilise break times and employ safe practices throughout the workplace and that effective protection is offered against potential safety vulnerabilities. If your employer has failed in their duty of care to you and this has resulted in a repetitive strain injury, it is likely that you will be eligible to make a claim for personal injury compensation. 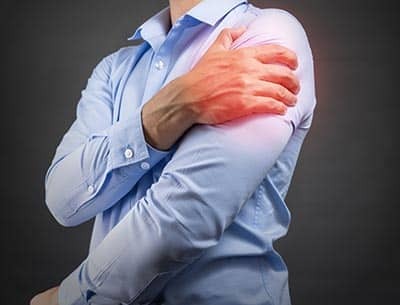 If you are suffering from any type of repetitive strain injury and you would like to find out if you have a valid claim, contact our experienced team of injury lawyers. We will provide you with a free case assessment and will explain the process of making a claim. Is my employer liable for my RSI? If your employer has failed in their duty of care and you have suffered an injury as a result of this, you may be entitled to seek compensation. Is there a time limit for making a repetitive strain injury claim? To be eligible to make a repetitive strain injury compensation claim, your case must be initiated within three years of a diagnosis having been made. A case that is not brought about within this time limit is likely to be unsuccessful unless there are special circumstances. Our solicitors encourage clients to initiate their RSI claim at the earliest opportunity possible. By doing so, this will improve your chance of making a successful claim as it will often be easier to gather the necessary evidence required to support your case. This will also ensure your claim is made within the relevant time limits. How much compensation can I claim for RSI? The severity of the condition and the adverse effect that RSI has on your life and ability to carry out tasks that you previously had no problems with. The level of liability that can be proven, i.e. whether the condition was fully caused by your employment or whether the condition was preexisting and made worse by the work you do. The starting point for solicitors to offer clients a guideline on the amount of compensation that they can expect to receive is with the references given by the Judicial College Guidelines. 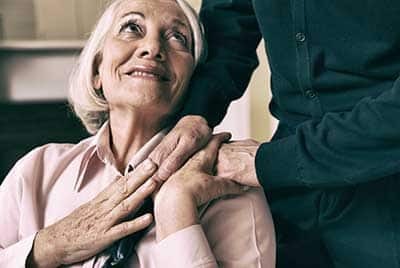 The guidelines offer benchmarks for how much a client can expect in compensation based on the severity of their symptoms and the impact that the condition has on their lives. This part of the compensation award is known as general damages. In addition to the above award for the actual pain and suffering you have experienced, a successful injury claim will also entitle you to receive what is known as special damages. This is a secondary amount that is calculated to compensate you for any financial losses you have faced as a direct result of your injury. Loss of wages – the symptoms of your repetitive strain injury may have resulted in you having to take some time off work. If you don’t get paid for this time, or you have been unable to take on overtime work that you would normally do, these lost earnings can be recovered. Future lost earnings – as well as past loss of wages, you can also claim for future losses. For example, if your doctor has advised you to stop working due to your injury, or you can only work reduced hours, you may be able to claim compensation for this. Medical costs – any medical costs that are related to your repetitive strain injury can be included in your claim, whether it be prescription costs, over the counter medication or physiotherapy. Transport costs – if you are unable to drive due to your injury and subsequently have to pay for public transport, taxis or train fares to get to and from medical appointments, these costs are also recoverable. With all financial losses you will need to provide evidence to support your claim. So it is important to keep receipts, bank statements and wage slips that will confirm your expenses and losses. If you would like to find out more information about how much compensation your repetitive strain injury may be worth, our free consultation service is the ideal opportunity. This service is provided without any obligation to proceed and is a chance for you to ask any questions you may have about making a claim. We are pleased to offer clients the ability to utilise our service on a 100% no win, no fee basis. This means that if we are not successful in your compensation claim for repetitive strain injury, you will not be liable to pay for legal costs. The term no win no fee is used to describe a conditional fee agreement. This is basically the document that contains the terms and conditions that govern the relationship between you the client and our solicitors. The details of the agreement will always be explained in advance by our solicitors. We think it is important to provide a transparent service. So by ensuring you have a good understanding of our no win no fee service, you can rest assured that you will never face any hidden fees or financial risk when making your claim. If your no win no fee RSI claim is unsuccessful, you won’t pay us a penny.